I believe that uncovering your “old story” (the source of that unconscious belief that supports and gives credence to your present emotional state) is the most powerful part of this process. To cultivate this natural, innate curiosity, it is very helpful to put aside what you think you already know about your situation, and prepare your mind to discover the deeper, hidden aspects of these stories. An attitude of “not knowing” creates a space for those previously unconscious traits to come to the surface where you can begin this inquiry into those aspects of yourself that are keeping you limited and stuck. This will also help to “lighten up” and even be more playful about your explorations into these patterns. 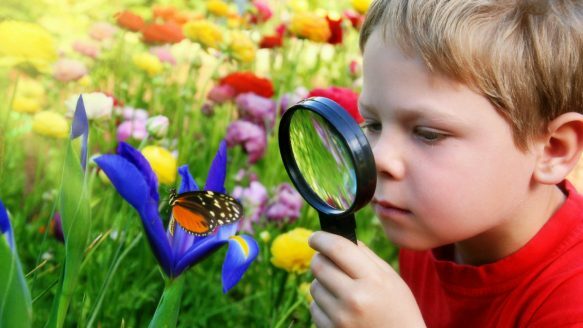 To me, it would be similar to returning to a child-like mindset of curiosity and exploration… looking at things as if it is the first time you’ve ever seen it, openly and easily exploring every aspect of it…. just for fun of it! This will lead to statements such as: “I wonder…”, “Isn’t that interesting… ?“, “Wow, I never realized that… !” , “What would happen if…?”, etc. I think it’s pretty easy to see how this would lead to some detachment from the outcome, which would automatically expand your awareness and openness to your relationship to these “stories”. Being kind, loving and compassionate toward yourself, and others, who you feel may have been a part of creating these “stories” , will help you immeasurably on this journey of self-discovery. Your personality, beliefs, values and “world view” are an accumulation of personal experiences and associated responses that were a result of your growing and maturing into the person you are now, and although the path you followed is unique to you, the patterns and underlying motivations are universal… everyone does this and each of us is doing the best we can. Whatever the source of your story was, no matter who was involved, or how you might have perceived the situation, there is no one, nor no thing, to blame for it. Being able to discover and look at all this, non-judgmentally and objectively, will soften the burden on everyone involved, and accelerate your progress in untold ways. Another area you may find some discomfort in is the discovery that “who you thought you were” (as far as what you thought others thought of you) isn’t in alignment with your real motivations and values. In other words, as you get more honest with yourself, it can be quite disconcerting to get a glimpse of the extent of your “mismatch” between your perception of “you”, and how you’re actually “showing up” in the world. Again, please be kind, understanding and compassionate toward yourself, and others… there’s no one to blame, and you are NOT defective, bad or wrong for being this way. This is a quality that is essential in doing this process, yet our society and culture seems to be driven toward superficiality and pretense. This can make it difficult to get in touch with your true, deeper self, and the motivations and “stories” that are keeping you stuck in your present situation. Being willing to cultivate the habit of “radical honesty”, while working with this process, will greatly enhance your ability to discover and let go of those self-sabotaging beliefs and personality traits. One practice that can be very helpful in this area is to look at your deeper motivations behind your behavior. For example, you may feel that you are a kind and giving person, and you go out of your way to help others in need. While on the surface this may seem like a “positive trait”, upon deeper investigation, you may find that you are acting that way to get recognition and to improve your self-esteem. A clue to this would be feeling good about yourself when you lend a helping hand, but then feeling resentment or diminishment in self-worth if your efforts aren’t noticed and acknowledged. You may want to remember this maxim: “the truth shall set you free”… although being willing to take an honest look at yourself can be confronting and somewhat uncomfortable, I think it is well worth the effort and time, and is an integral part of returning to your Authentic Self. One of the most powerful outcomes from doing this process is a closer, more intimate relationship to your Higher Self, and it’s connection to Source. As you let go of those parts of your “little self” that have held your attention for so long, you will automatically start to sense an Inner Guidance growing within you. This Guidance can only be heard by a still, quiet mind, and will never intrude on you, uninvited. and Abundance. Since it is your Authentic Self, it has always wanted this for you, and has only been limited to the extent that you were distracted and focused on those lower aspects of your self . This “new” connection will eventually show up as synchronistic events, unexpected life-enhancing manifestations, and “miracles”… you will start to experience life as a flow of ease, effortlessness and pleasant “gifts”! It is important to remember that it took a while for you get to where you are now, and it will take some time to free yourself from your present life situation. Having trust in the process and giving yourself the time and tools to bring the sought after results into fruition will most assuredly produce the best outcome with the least amount of pain and suffering. One other bit of advice that goes along with this is: don’t look at external evidence while working with the process. Stay focused on the process, itself, and let go of the temptation to measure what kind of results you are getting in your life. I know this can be difficult, but by trying to calculate how effective this process is by constantly analysing what is going on in your external world, will just slow you down. Although this explanation may seem too short, or lacking in detail, I don’t have the time or space to cover every aspect of these important points. My intention is to write a very in-depth manual (book?) about how to implement the ECAP, so, hopefully for now, this will be helpful in some small way to those of you who are on this journey of “Growing a Greater You”. Meditation: create some quiet time, and get into a relaxed, meditative state (get grounded in your body), before beginning the process each day. It is also very helpful to incorporate daily meditations into your schedule, especially anything that helps you connect with your “heart center” and your Higher Self. ask for help: If you have any kind of “inner helpers” (Guides, Saints, God, Angels, Ascended Masters, Source, Spirit, Jesus, Buddah, etc.) that you feel a connection to, ask them to help you to let go of those things that are preventing you from experiencing your true nature. Turn it over, and let go! Teleseminars: As of right now, Greg and I are still doing the teleseminars every Thursday at 8 PM EST, (call 1-443-453-0034 Conference Code: 226919) although we may temporarily suspend them for a month or so this summer. We will make every effort to keep everyone informed as we find out more. In case you missed any of the shows, I’ve added an archive of past recordings (18 as of now) on my website and you can find them at this link. You can also check out past newsletters on my coaching site, or schedule a free intro session, at this link. You can also spend a little time wandering around this blog… all the past newsletters can be found here, plus a bunch of my other brilliant “stuff”…. ENJOY!! ECAP Tip of The Week: Whether you are using this process, or some other technique for “evolving” or awakening to your True Self, you will find it very helpful to learn to practice “presence” in your life. All it takes is practising becoming more aware of your internal state on a moment-to-moment basis. One of the best, and simplest techniques is to start to notice how you are breathing. Many of us will actually hold our breath, or breath in a very shallow manner, whenever we are in a stressful situation. Taking a moment to do a “body scan” will help you to be more conscious of your inner state of being, and will greatly enhance your ability to be present during those situations. You might be pleasantly surprised to find that you not only survive it, but that you are now free of that particular limitation. This entry was posted in Newsletter, Quantum Life Coach, Thoughts and tagged Coaching, ECAP, Greg Kuhn, Health, Law of Attraction, mind, motivations, personality traits, Quantum mechanics, spirituality. Bookmark the permalink. ← Newsletter 5: What “self” are you talking about?